If you have been playing the new Ewok Hunt in Star Wars Battlefront II you probably have come across the Wisties. 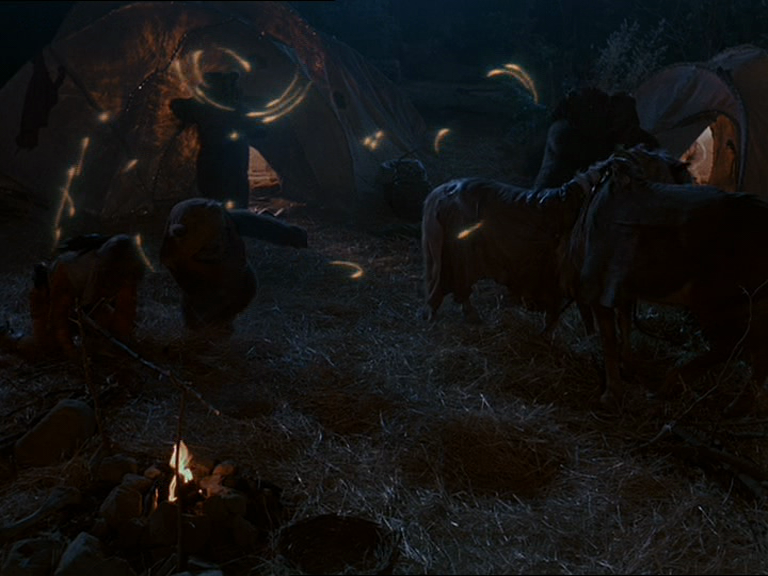 The glowing fairy like things the Ewoks throw at you. Wait a minute, fairies in Star Wars? Well don’t worry this isn’t some evil Disney trick, because Wisties were introduced back in 1984 in the first Ewok Movie “Caravan of Courage: An Ewok adventure”. Which is now considered Legends. But as you know LucasFilm have been taking concepts from Legends and re-introducing them into Canon. Wisties, also called firefolk, flutterglows or firesprites, were a sentient species native to the forest moon of Endor. They were very small, winged humanoids that had the appearance of a moving flame. However, fire did not have anything to do with their luminosity, and they could be safely touched by other creatures most of the time. However, angered Wisties could increase their body heat to such a degree that their could actually burn. Those properties look to be true in Canon as in Battlefront II, Ewoks will throw swarms of Wisties at you, sort have like a burning flashbang. While they may (for the time being, who knows) come off as primitive in Canon, in Legends they had a language of their own and even a form of government, with a Queen as Head of State. It was thought that the firefolk fed off happy emotions and expressions of mirth. The spark-like beings generally maintained cordial relations with the tree-dwelling Ewoks, who even had a holiday in their honour, called the Festival of the Wisties. Both species would celebrate the event together in a playful atmosphere. So if you’ve been playing Battlefront II’s Ewok Hunt and have been dying in a swam of “lights”, you were in fact killed by a bunch of fairies.